Late Ratilal Govindji Nathoo Dodhia | Oshwal Association of the U.K. 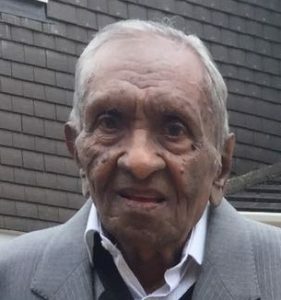 It is with deep sorrow, we announce the sad loss of Ratilal Govindji Dodhia (Meru / Gaam – Nagadi) who passed away peacefully on Saturday, 14th July 2018 in Meru. He was husband to Gurvantiben Ratilal Dodhia of Meru (Gaam – Arikhana). He was son of Late Govindji Nathoo and Late Rajalben Govindji of Meru. He was father to Vanitaben (UK), Rohiniben (UK), Milanbhai (Meru), Hinaben (UK) and Ashikaben (UK). He was father-in-law to Late Surendra Nathoo (UK), Raivat (Ashok) Khimji (UK), Diptiben Milan (Meru), Nilesh Hansraj (UK) and Sachin Shantilal (UK). He was grandfather to Roopal and Prakash, Bhavin and Meera, Ayush and Ayushi, Rushabh, Shivam and Sia. He was brother to Late Santaben Jayantilal (Nairobi), Late Narabdaben Keshavlal (Mombasa), Late Manjulaben Prabhulal (UK), Jayantilal Govindji (UK). He was brother-in-law to Late Laxmiben (India), Late Khimji Lalji (UK), Late Keshavlal Lalji (UK), Chandulal Lalji (Canada), Vijyaben Mansukhlal (UK) and Shashikant Lalji (UK).